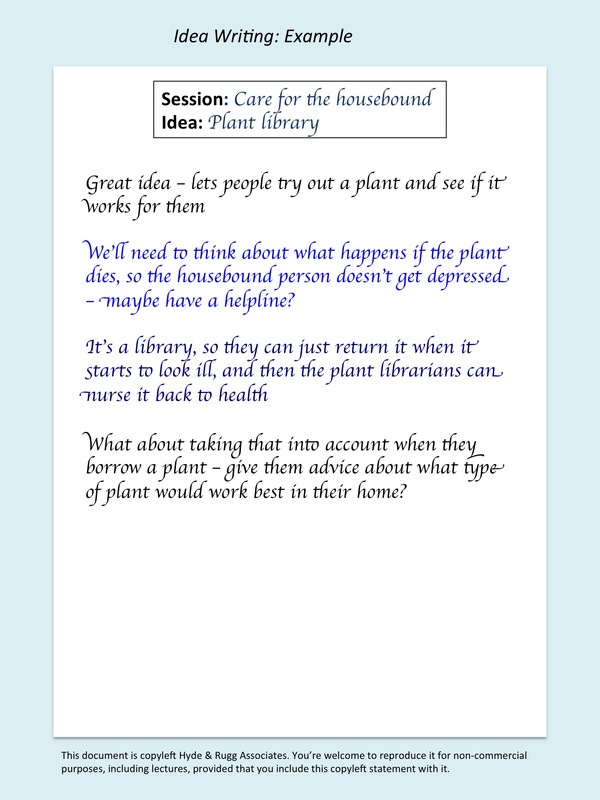 Generating ideas in groups is difficult. Dominant personalities can take over, or arguments can start between factions. Even for the most constructive and positive groups, most group-based methods involve only one person speaking or writing at a time, while the others sit and wait their turn. This article is about Idea Writing. It’s a simple, efficient way of generating and developing ideas. The core concept is that each idea gets its own sheet of paper and that everyone writes their comments about the idea on each sheet. They also comment on what other people have written. Working in this way means that everyone is active simultaneously, without having to wait their turn. It also avoids problems with arguments and dominant personalities. It has the further advantage that you don’t need someone acting as scribe for the session. It’s a useful method to have in your kit. This article gives an overview with a worked example. 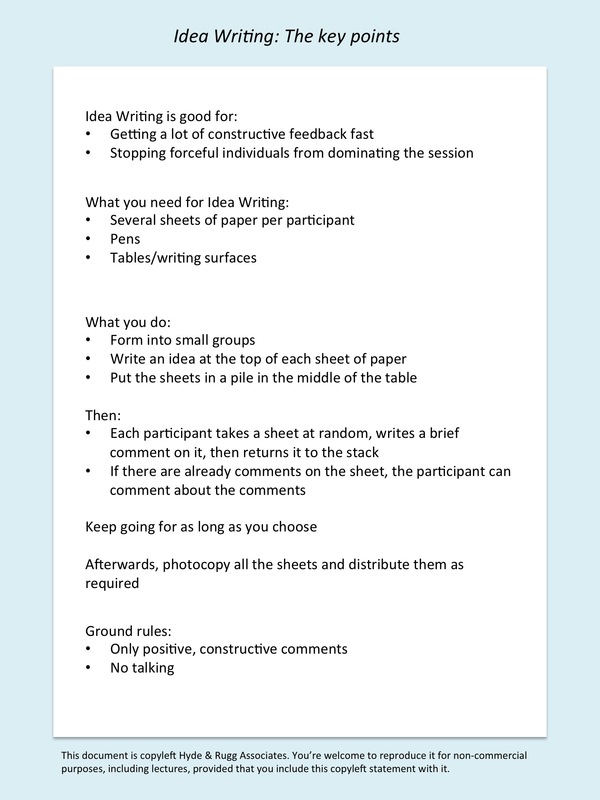 This entry was posted in development methods, elicitation, requirements, research methods, useful concepts and tagged groupwork techniques, idea generation, Idea Writing by hydeandrugg. Bookmark the permalink.